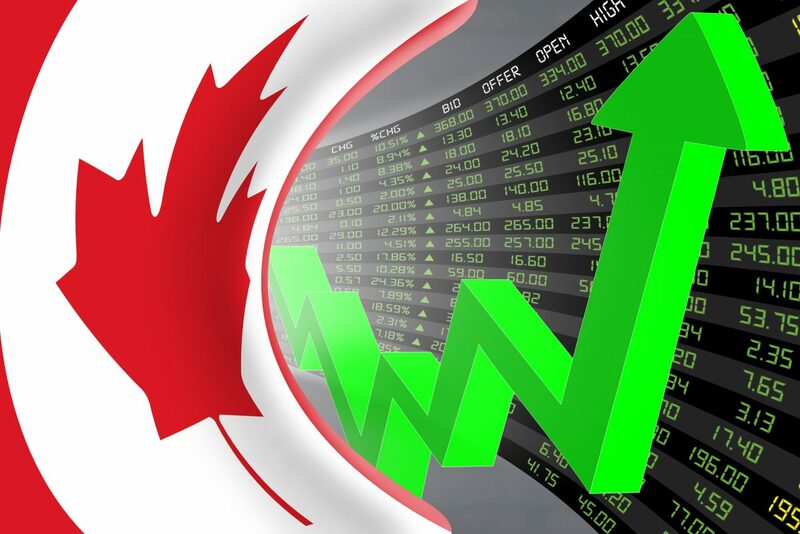 A number of cannabis companies have gone public over the last several years, with the majority listed on a small exchange in Canada called the Canadian Securities Exchange (“CSE”). Many have done so via reverse takeover — a merger transaction in which a private company acquires a public shell company, merges into it, and then takes it over and changes its name — rather than resorting to an initial public offering, a more common practice in which a private company sells shares to the public and is then listed on a public exchange. Fundraising: It enables companies to raise large(r) amounts of capital from external investors. Publicity: Going public is a watershed moment, raising a company’s profile among investors, customers, competitors, and the general public. Credibility: Becoming and being a public company is somewhat of a status symbol. It shows that you’ve “made it” and can handle the rigorous disclosures and transparency required by investors and regulators. Liquidity: It allows longtime employees and investors to “take some chips off the table” by monetizing some or all of their holdings. Currency: Public stock can more easily be utilized for acquisitions. These last two aspects, liquidity, and currency were analyzed for the 30 largest CSE-listed companies with U.S. operations (and compared against a group of 30 U.S.-listed micro-cap biotech, brewing, vitamins/supplements, and natural food companies) to assess the benefits of these listings. As you can see in the chart below, there is a meaningful lack of liquidity for the CSE-listed companies. The comparable stocks have nearly three times the average daily trading volume of the CSE-listed cannabis companies. Also, there is a long “tail” with the CSE-listed stocks. The overwhelming majority have extremely thin volume — some had days where literally zero shares were traded — with just a handful garnering meaningful volume. When a company is doing a follow-on equity offering, the sizing is important. If a company sells too much stock relative to daily trading volume, it risks flooding the market and driving down the stock price. A sanity check also occurs, looking at how many days of trading it would take for all the newly sold shares to trade. Five to 10 percent is the norm, though higher levels are also possible. Given the thin trading, the ability to do a block trade (selling a large lot of shares to a third party) is also limited. In an M&A situation, this matters a great deal – the seller becomes largely “stuck” in the company and can’t easily monetize their holdings. In fact, when one looks at several of the recent all-stock acquisitions, it appears as if it will take years for the sellers to convert their shares into cash. Any company contemplating listing on the CSE or another foreign exchange should consider pursuing status as a “foreign private issuer” and how that may impact liquidity. There are some substantial potential benefits to being a foreign private issuer, including faster market access and less onerous reporting requirements. But maintaining foreign private issuer status can create additional liquidity concerns for some shareholders. A foreign private issuer must either have the majority of its voting stock held by non-U.S. residents or operate outside the U.S. 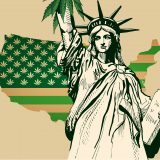 The only option for U.S.-based cannabis companies is to ensure the majority of voting stock is held by non-U.S. residents. Determination of what the majority of voting stock means can be based on either voting power or a quantitative number of shares. Companies often create a class of super-voting, super-conversion compressed preferred stock that is exchangeable into publicly traded common shares. 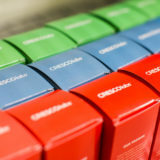 The preferred stock class — sometimes called Class A stock, but naming conventions vary from company to company — can be set up so that, on a converted basis, the holders of the preferred stock have the same economic and voting rights they would have had if they held common stock instead. But a company must usually impose conversion restrictions to ensure foreign private issuer status is maintained. If too many people convert at the wrong time a company can lose its foreign private issuer status. 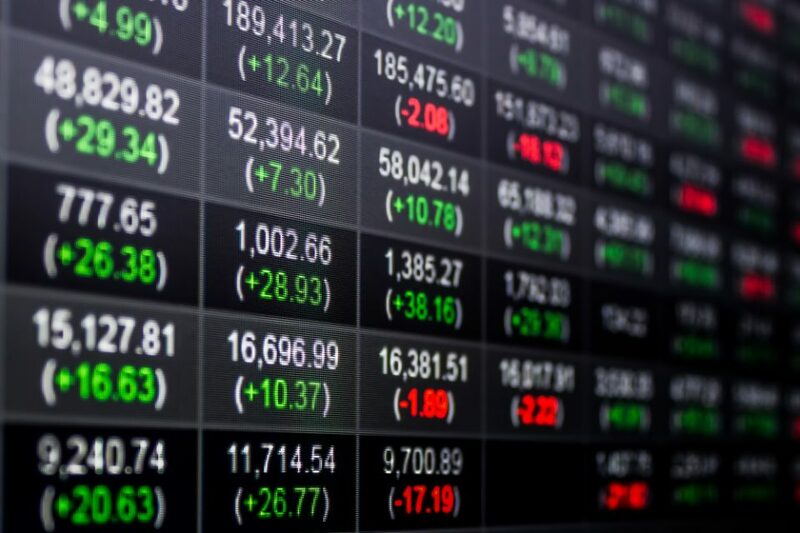 Anyone receiving compressed shares should carefully review the terms of such stock so they can be aware of when and how they can convert into freely trading common stock. It may not always be possible to freely convert such preferred stock and the preferred stock may not be as easy to sell as the common stock, creating another potential liquidity issue that should be managed up front. David Lechner is a Chief Financial Officer with $25 billion of M&A and capital markets work. 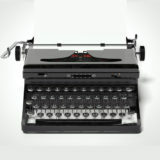 He consults with clients on due diligence, acquisitions, integrations, financial reporting, and operational improvements. Originally from Toronto, he now resides in Denver with his family. Charles Alovisetti is a partner and chair of the corporate practice group at Vicente Sederberg LLC based in Denver. He assists licensed and ancillary cannabis businesses with corporate legal matters, and he has experience working with clients on a broad range of transactions. Part 2 of 8 of the Cannabis Trends for 2018: U.S. companies run north of the border and IPOs are on the rise. Over the next year expect an increase of cannabis companies to start going public in Canada instead of the United States. Although the U.S. market has great potential in the long run, there are a lot of short term advantages to going public in Canada. The first, and most obvious reason, is that Canada has legalized recreational cannabis sales. Sure, nine states have legalized recreational cannabis, but it’s still federally illegal. 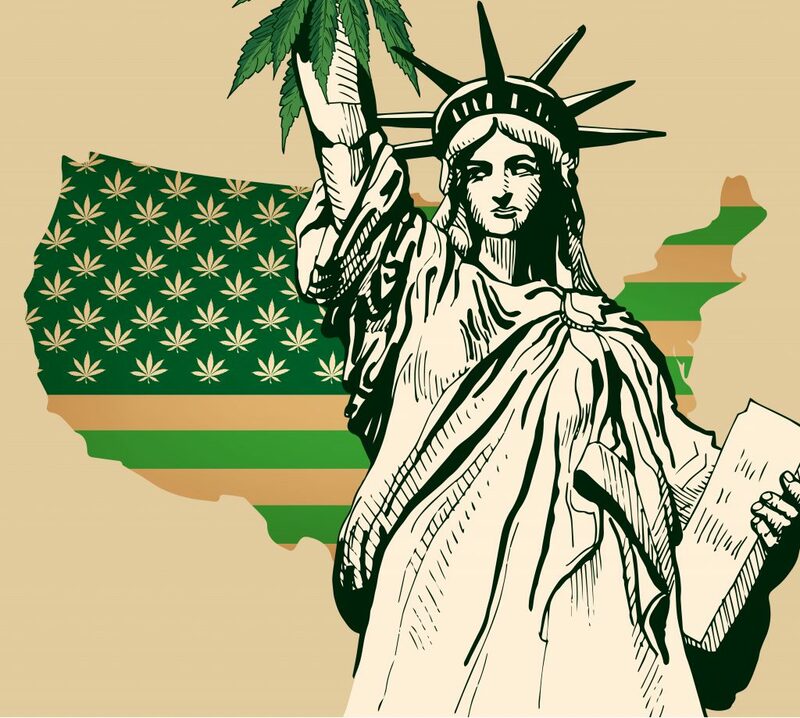 US cannabis companies continuously have to look over their shoulders, hoping that the federal government isn’t about to kick down their door and make their business close its doors for good. Not to mention the fact that the entire U.S. market still operates as cash-only, with extremely limited access to banking services. Put yourself in the position of a cannabis business owner: Would you rather operate in a market that has the *potential* of being more profitable but has no access to banking services and puts you at risk of being arrested? Or would you want to operate in a market that carries little legal risk and you can actually open a bank account? For many entrepreneurs, it’s a pretty simply choice. One company that is not afraid to do business in both the United States and Canada is Sunniva. Headquartered in Calgary, Canada, Sunniva is on the fast track to becoming one of the first cannabis companies to be licensed in both Canada and California, which is one of the world’s largest cannabis markets. Legality aside, there’s also the issue listing requirements in the U.S. Companies have to be meet very strict requirements in order to become listed on the New York Stock Exchange (NYSE) or NASDAQ. For example, in order to become listed on the NYSE you need to have publicly held securities that are valued at a minimum of $100 million. Likewise, companies hoping to go on NASDAQ need a pre-tax income of $11 million for an aggregate of three years. Contrast that with the Canadian exchanges, where companies on the TSX only need a pre-tax income from the previous year totaling $300,000. Those are not the only requirements, of course, but from there you can get a pretty clear idea of how difficult it is to make it on the NYSE or NASDAQ compared to the CSE or TSX. The vast majority of “cannabis companies” listed on the NYSE and NASDAQ are biopharmaceutical companies, like GW Pharmaceuticals, that aren’t primarily cannabis companies. The only two companies that are purely cannabis companies that are publicly listed in the United States is Cronos Group and Canopy Growth. With fewer barriers and fewer risks, numerous companies that previously started as U.S. based companies have begun moving operations north of the border and are making preparations to go public. Some of those companies include Acreage Holdings, Dixie Brands Inc., and MJIC Inc. 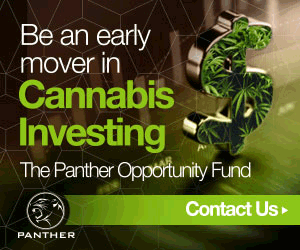 In the short term, expect an exodus of cannabis companies either going public or completely moving their operations to Canada and expect them to stay there until the United States finally decides to tackle federal cannabis reform. So far, 2018 has been a huge year for the cannabis industry; but where is it all heading? In AxisWire’s 2018 Cannabis Trend Report, we take a look at some of the biggest developments in the cannabis industry so far this year and provide insight as to where the market trends suggest they will be headed. 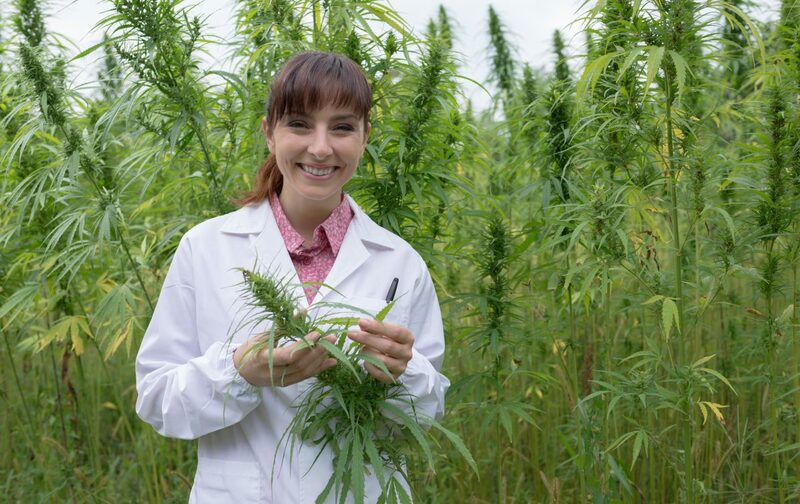 Women are gaining greater ground in the cannabis industry. Women hold approximately 27% of C-Suite level positions in the cannabis industry. The last year has seen an explosion of industry organizations dedicated to advancing women in the industry, like IPW and Women Grow. There is also a growing number of women-owned cannabis brands, like Garden Society, as well as brands marketing specifically to women, such as Whoopi & Maya. Bolstered by legal cannabis in Canada and by increasingly impotent federal enforcement in the United States, the number of cannabis companies going public is on the rise. Companies like Canopy Growth and Cronos Group have gone public on the New York Stock Exchange and NASDAQ, respectively. Additionally, several US companies are gearing up to go public in Canada; including Acreage Holdings, Dixie Brands Inc., and MJIC Inc. Agricultural technology in the cannabis industry is set to see some big changes. Cannabis giants like Aurora and Canopy are starting to build massive grow operations and as such as are looking for ways to increase efficiency and reduce costs. Cannabis growers are beginning to favor CMH lighting over LEDs and HPS lighting, primarily due to its low costs and high Color Rendering Index Score. 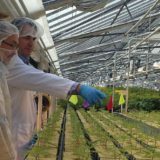 Automation is also an avenue that cultivators are exploring to reduce costs, including cannabis trimming robots. Hollywood is slowly becoming more comfortable with its relationship with cannabis. Encouraged by recreational cannabis becoming legal in California, there has been an upswell of celebrity cannabis brands; such as Montel Williams’ Lentiv. Likewise, there has been an increase in cannabis-related television shows, and award shows like the Academy Awards have started allowing cannabis gift bags. Beverages infused with cannabis stand to be the next big thing in the industry. Several large beer companies have already expressed interest in making craft cannabis beverages; including the brewing company Lagunitas. 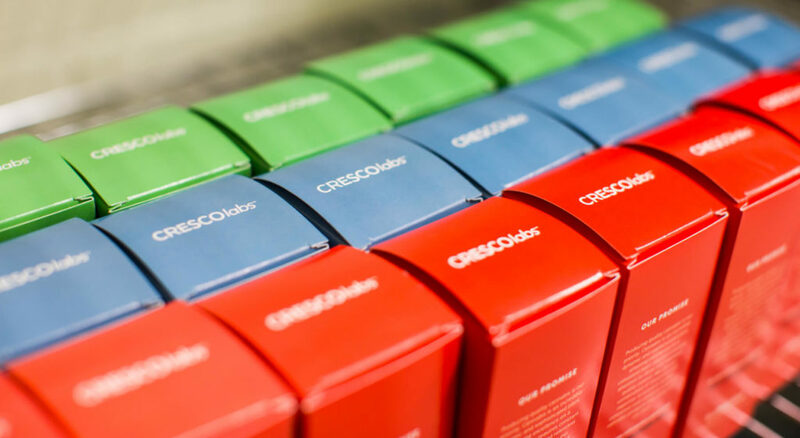 Independent cannabis companies have also begun to branch out into the world of cannabis beverages; including a number of cannabis-based wines, such as the new luxury brand coming to market SAKA. Like other industries, cannabis has fallen head over heels for cryptocurrencies and blockchain. Due to the disconnect between state and federal cannabis laws, some companies have resorted to launching Initial Coin Offerings as a way to raise money. Additionally, larger cannabis companies have begun to develop blockchain-based software systems to help manage seed-to-sale tracking as well as point-of-sale technology. Cannabis’ newfound legality in Canada has led several cannabis companies to seek out international markets. A lack of infrastructure in medical cannabis markets, such as Germany, have presented an opportunity for cannabis companies to gain some short-term profit and some long-term benefits. By setting up in developing markets, larger cannabis companies have the chance to establish a footprint before local businesses even get off the ground. A growing number of famous musicians are starting to stake a claim in the cannabis industry. Legends like Snoop Dogg and Willie Nelson have launched their own cannabis brands, and business savvy rock stars like Gene Simmons have started to make investments in this growing industry. Some aspiring musicians are also hoping to make a name for themselves by using cannabis itself to spread awareness of their music.